Since 2005, the Canadian Network on Corporate Accountability has been working to improve access to justice in Canada for people harmed by Canadian mining, oil and gas projects abroad. The Canadian Network on Corporate Accountability (CNCA) says the government must immediately implement the recommendations of a UN report that calls for a coherent policy to protect against Canadian business-related human rights abuse. “The Canadian government needs to pay special attention to the prevention of sexual violence against women and to remedy for victims. This is a serious problem related to the operations of Canadian mining companies operating overseas,” said Catherine Coumans, research coordinator at Mining Watch Canada. 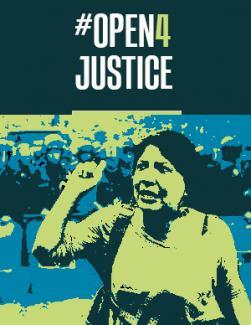 Our “Open for Justice” campaign, launched in 2013, called for the creation of an ombudsperson to investigate claims of human rights abuse linked to Canadian extractive companies around the world. Our 2016 model legislation outlines the elements of an effective and credible ombudsperson. The UN working group on business and human rights was established by the Human Rights Council in 2011 and is composed of five independent experts. The working group’s official visit to Canada sought to assess how the Canadian government and private sector are implementing their respective human rights obligations and responsibilities under the UN Guiding Principles on Business and Human Rights. Access the working group’s report on Canada at http://ap.ohchr.org/documents/dpage_e.aspx?si=A/HRC/38/48/Add.1.